Chitika Text, Banner advertising network details. 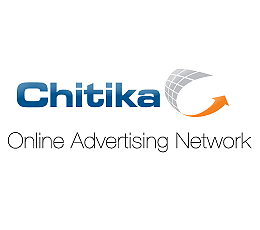 Chitika is an online advertising network founded in 2003 with Headquarters in Westborough, MA and offices in Hyderabad, India. The name “Chitika” is from Telugu, a South Indian Language. It means “snap of the fingers”, which speaks for the velocity Chitika online ads perform on a Web page. One thing special about Chikita is that it only displays ads to users at their expected time and location. There are many other features that make the company outstanding in the field. We have connection with over 350,000 excellent publishers and leading advertisers such as Yahoo!, SuperMedia and HomeAdvisor. We have reached the goal of four billion ads every month thanks to the purchasing power boosted by property targeting and optimization technology. There would be no strain or difficulty as we always try to create ads that combine perfectly with your idea. With all our competence, we promise to maximize your revenue. You can check Chitika reviews on Affbank and ask Chitika Team any question by using the contacts above, especially about how to earn money!